Demystifying fall protection... learning your ABC's! In 2017, a total of 32 Australian and New Zealand workers died as a result of a fall from a height, with countless others, seriously injured. The effects of a fall on a work site are far-reaching and go beyond the company to the family members and even the community. Most of these injuries and deaths are totally needless because they could be avoided with the right fall protection gear, used the right way. The hierarchy of control, implemented following a risk assessment, demands that the first step is to try and "engineer out" the need to work at height. If this is not possible, the next step is to prevent access to the height safety risk area by the provision of lockout systems, guard rails etc. Anchorage provides a secure point of attachment (to an existing structure) for the fall arrest system. Anchorage devices can be permanent or temporary and vary to suit the type of structure available. This can be a fixed point or a static line system, but it must be capable of sustaining a force of 15 kN for a single person application and 22 kN for a two-person application. Full body harnesses to connect the worker to the fall arrest system. They are specially designed to protect the worker against serious injury in the event of a fall, whilst also remaining comfortable to wear. Use only a standard approved full body harness that is within service, inspected prior to use and correctly fitted and adjusted. View our article: The Full Body Harness - why putting it on is not enough! 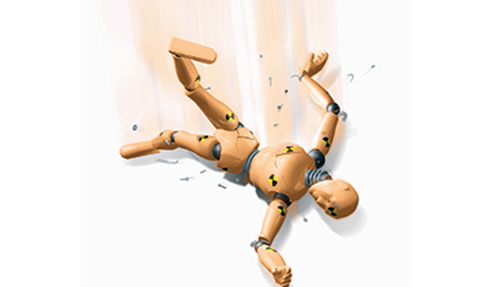 Descent and rescue systems enable the retrieval of an injured or incapacitated worker. In the event of a rescue, this equipment facilitates the rapid recovery of the worker without endangering other workers in the process. Fall protection for tools helps make work environments safer and more productive by reducing dropped object incidents. View our article: What you need to know about fall protection for tools. Our fall protection products deliver the highest standards of protection for workers in the deepest of mines through to the top of the tallest towers. However, on any given shift, workers may potentially put themselves in harm's way - the importance of selecting the correct equipment, its regular inspection and maintenance and user training are all critical issues requiring further understanding and possibly specialist advice. This article is a general guide, reach out to a 3M Fall Protection Specialist if you're unsure of any aspect of fall protection or fall protection equipment. View the range of height safety solutions on www.3m.com.au today. I would like to enquire about 3M.